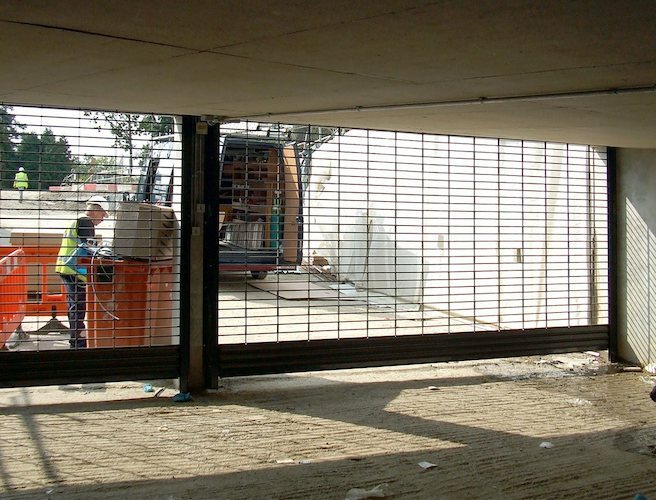 An open chain mail roller shutter grille allowing for ventilation and vision while delivering a suitable level of security. 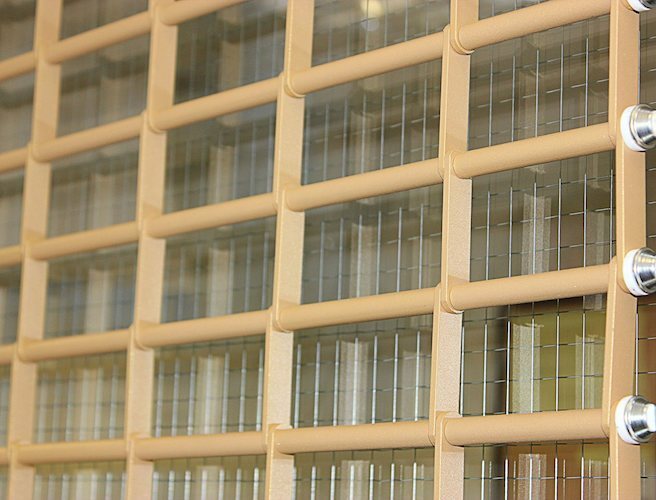 Manufactured from aluminium, the security grille is available with a mill finish as standard or with coloured powder coating as extra. Choose manual or electrical operation. Recommended maximum width up to 6,000mm. 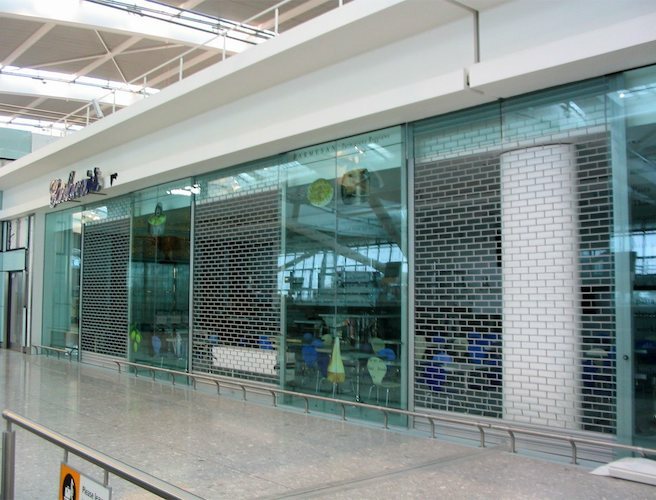 Providing a medium level of security, the apertures in the G1-HD roller shutter grille allows for through vision and ventilation. 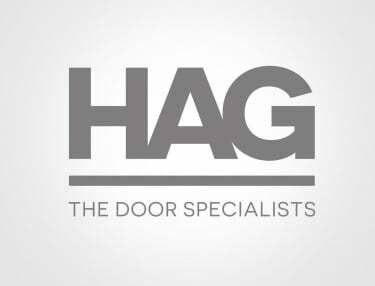 Manufactured from aluminium in a mill finish or choose from RAL or BS colours at additional cost. 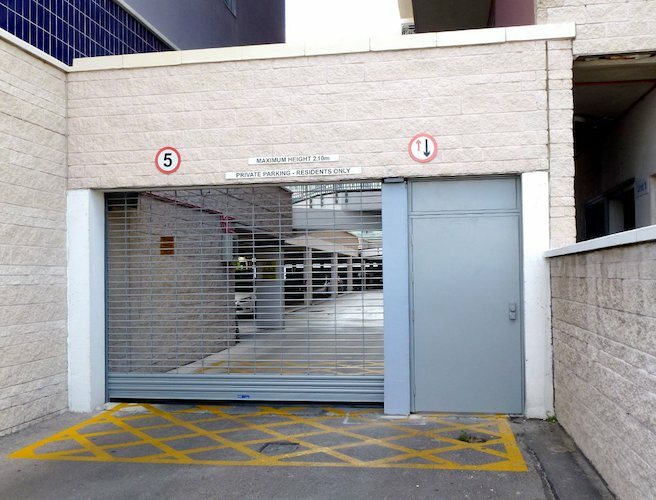 This roller grille is electrically operated with a choice of variety of controls. Recommended maximum width up to 6,000mm. 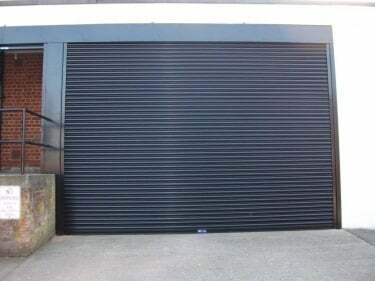 A brick bond style roller shutter grille delivering a medium level of security while allowing for through vision and ventilation. 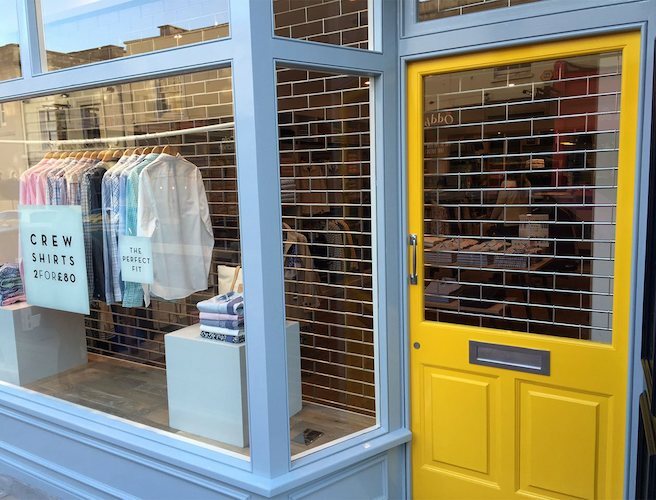 Choose from an aluminium finish or powder coating colours for an additional cost. Manual or electric operation depending on specification. Recommended maximum width up to 6,000mm. 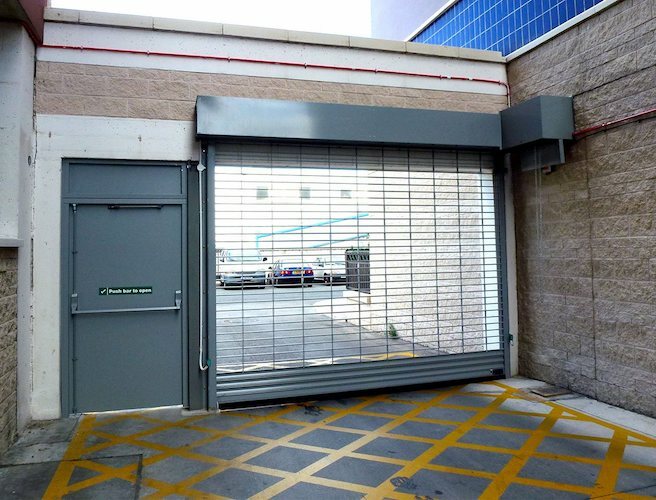 An inline design roller shutter grille designed for use in smaller openings. 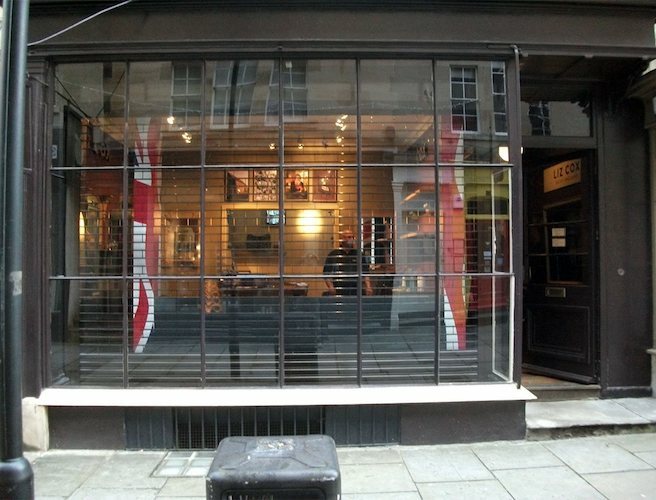 The G3 allows for through vision and ventilation while still providing a level of security for internal applications. 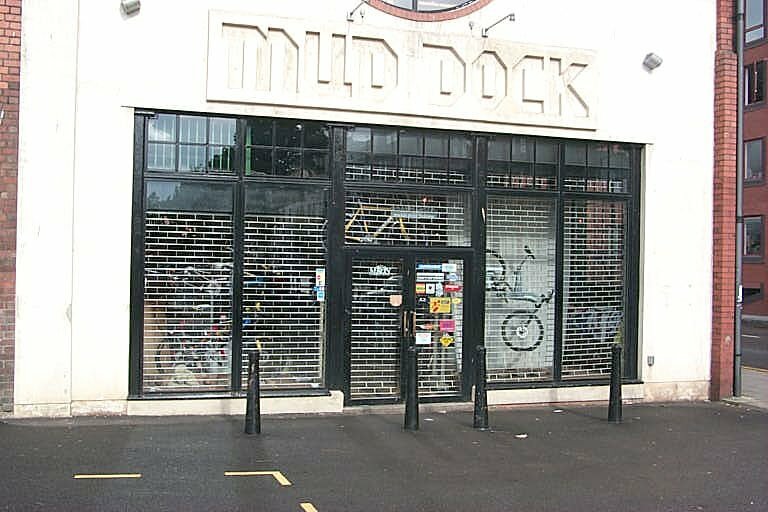 Mill finish as standard with powder coating options available. Spring loaded or electrical operation. Recommended maximum width up to 3,500mm. 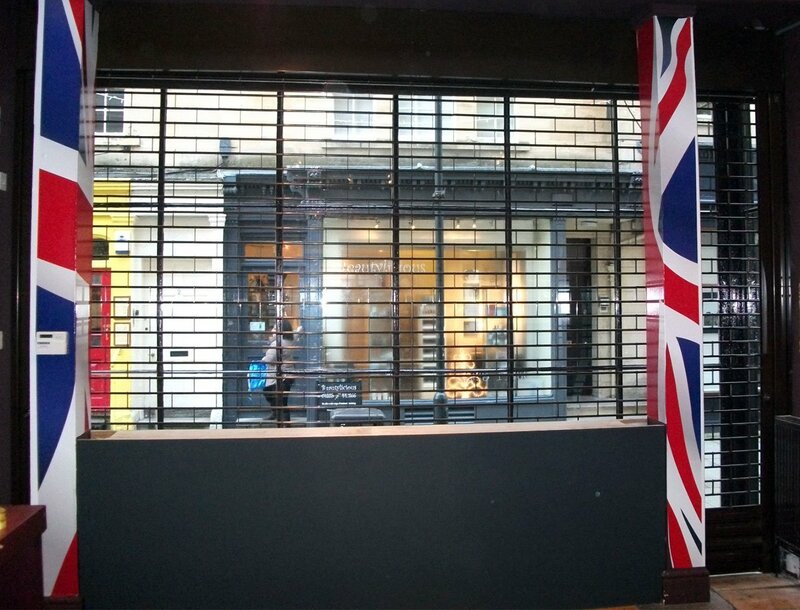 A brick bond style roller shutter grille constructed from aluminium, delivering a medium level of security. 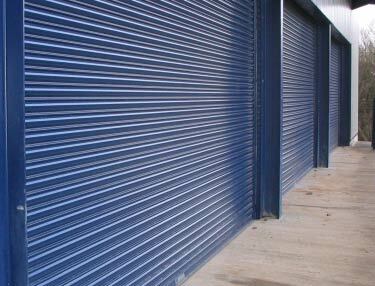 Aluminium finish or RAL and BS powder coating colours depending on specification. 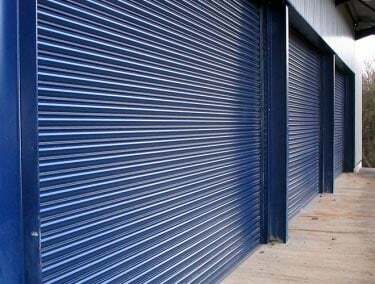 Choose spring loaded of electrical operation depending on requirements. Recommended maximum width up to 3,500mm.